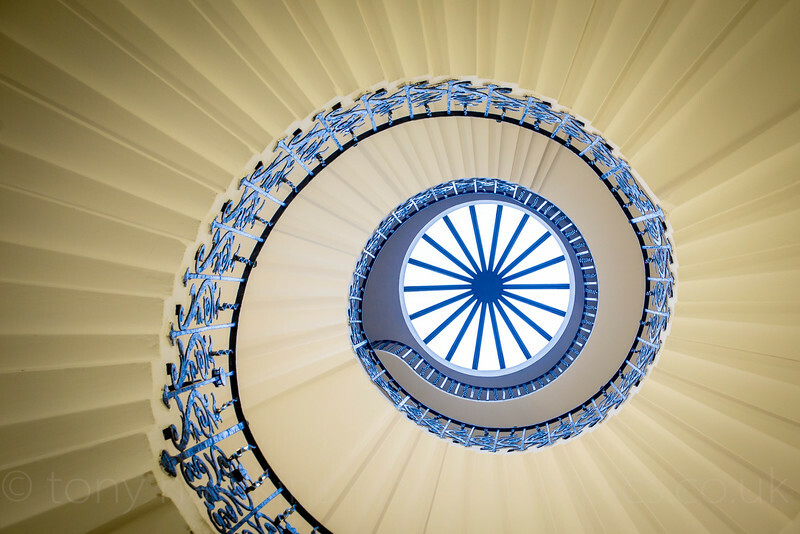 The Tulip Staircase at the Queen's House Greenwich. This is now part of the National Maritime Museum Greenwich London. The elegant Tulip Stairs are the first geometric self-supporting spiral staircase in the UK. Although called the 'tulip' stairs, it is thought that the flowers in the wrought-iron balustrade are actually fleurs-de-lis. The warm colours of this picture make it an ideal wall art image. 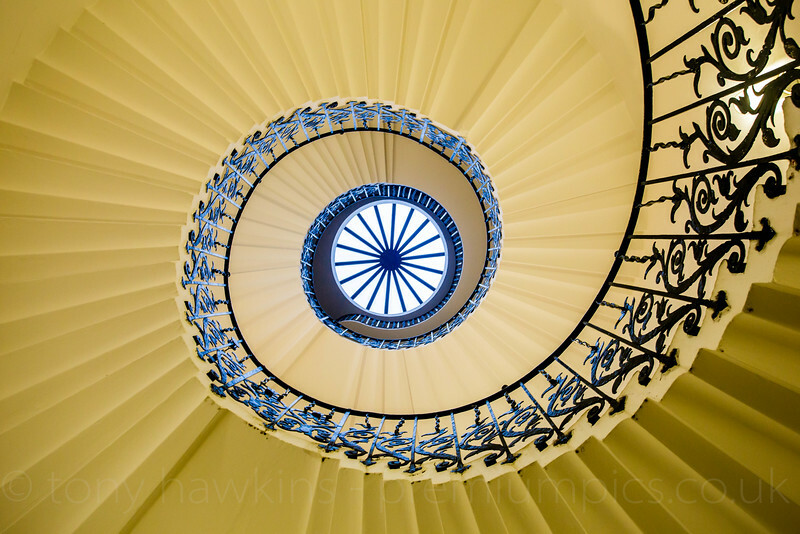 Another image of the Tulip Staircase at the Queen's House Greenwich. 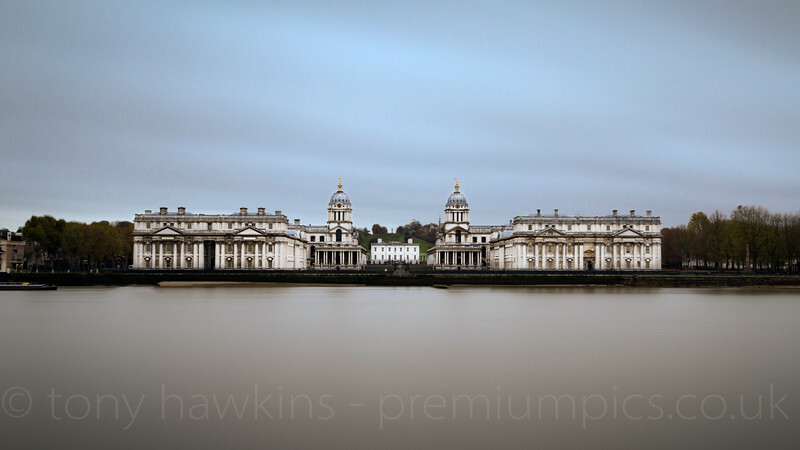 This is now part of the National Maritime Museum Greenwich London. The elegant Tulip Stairs are the first geometric self-supporting spiral staircase in the UK. Although called the 'tulip' stairs, it is thought that the flowers in the wrought-iron balustrade are actually fleurs-de-lis. The warm colours of this picture make it an ideal wall art image. 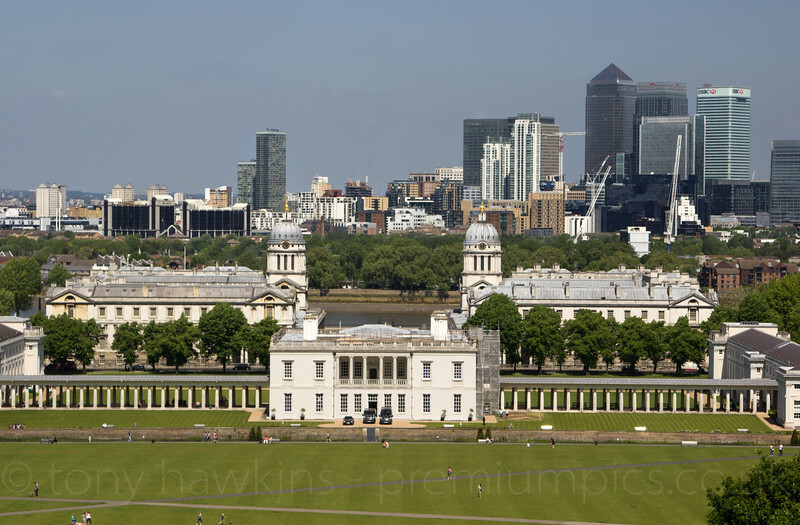 Taken from near The Royal Observatory in Royal Greenwich Park this image of The Queen's House really shows old and new London. 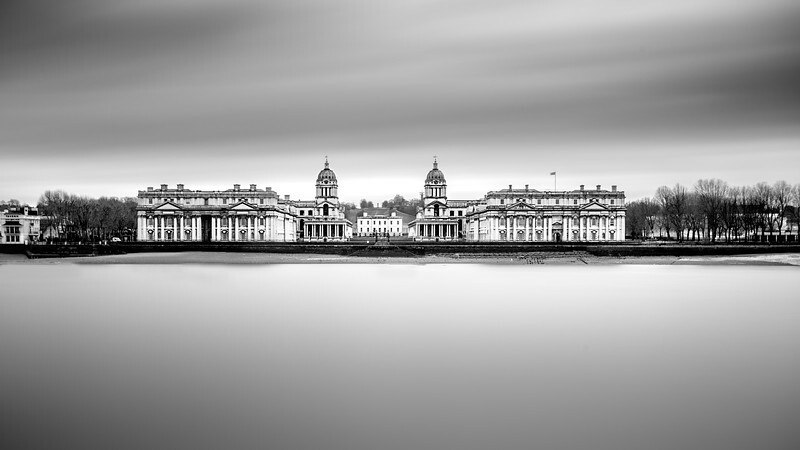 The Queen's House Greenwich is now part of the National Maritime Museum Greenwich London. 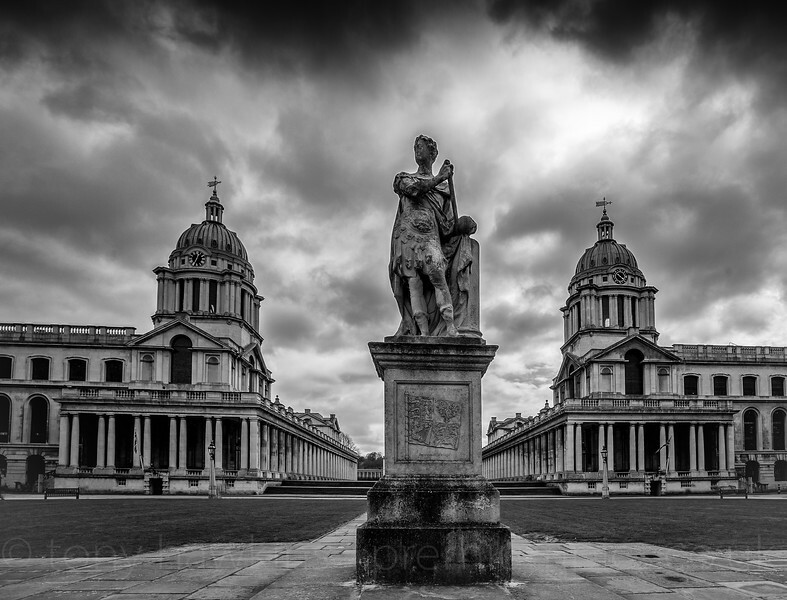 You only have to look at some of the buildings at The Old Naval College Greenwich London to see why it is a World Heritage Site and has been described by the United Nations Educational, Scientific and Cultural Organisation (UNESCO) as being of "outstanding universal value" and reckoned to be the "finest and most dramatically sited architectural and landscape ensemble in the British Isles". 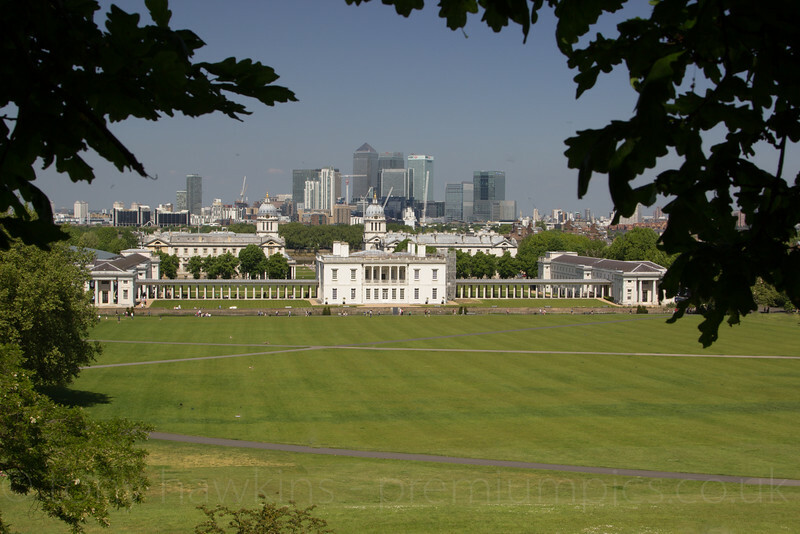 This image was taken from near The Royal Observatory in Greenwich Park and is of The Queen's House and The National Maritime Museum. The grass area was the scene for the equestrian events of the 2012 London Olympics; hard to believe when you look at it now. 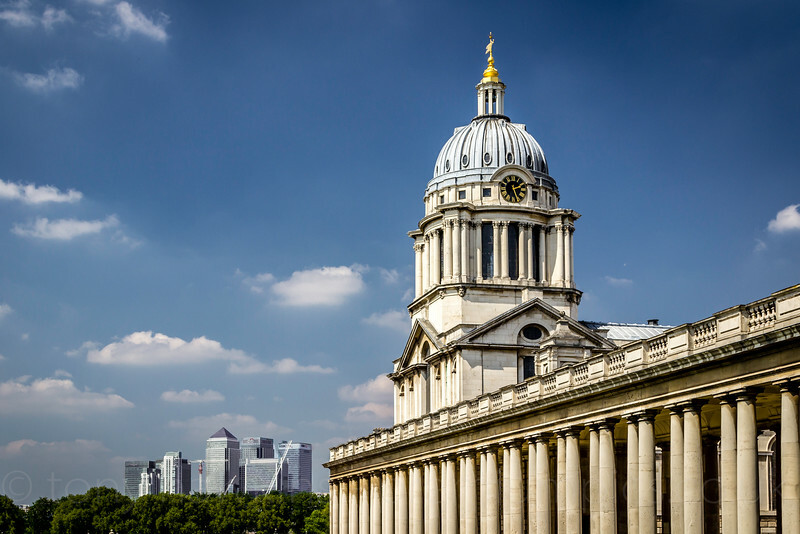 Separated by The River Thames, this photograph shows the Old Naval College in Greenwich with London Docklands in the background. Canary Wharf can be seen in the picture. A panoramic shot of dusk in Greenwich with the lights of London starting to shine. A classic image of old and new London. 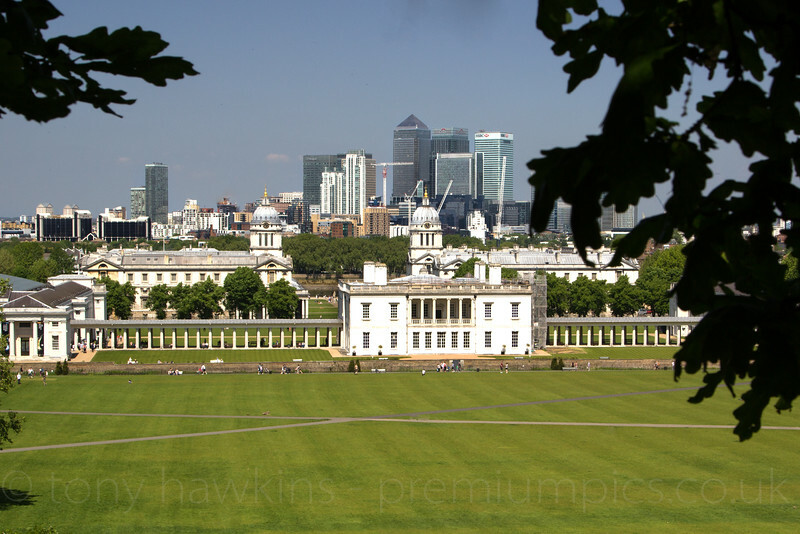 A different view from near The Royal Observatory in Greenwich Park of The Queen's House and The National Maritime Museum. All signs of the equestrian events of the 2012 London Olympics are gone! A closer crop of Old and New London. 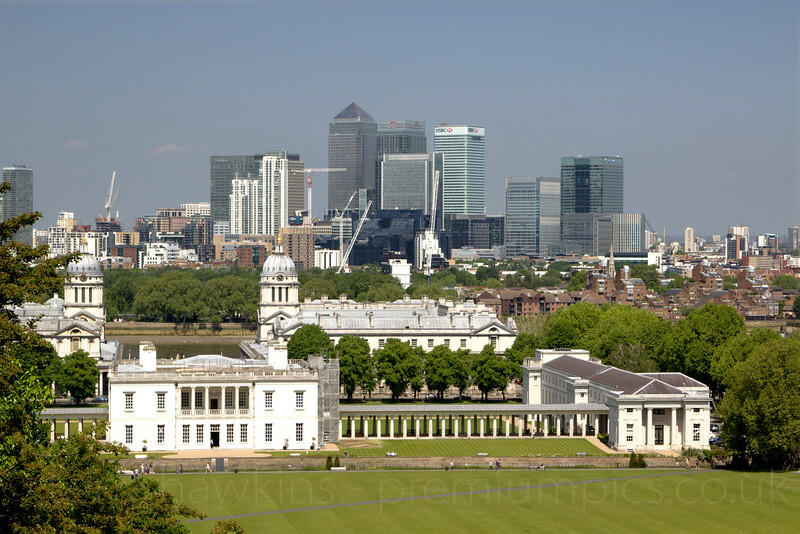 The Queens House and Old Naval College of Greenwich are in the foreground and the towering skyscrapers of London Docklands can be seen in the background. These sun seekers are enjoying the weather where equestrian events of the 2012 London Olympics were held. Shot from near The Royal Observatory in Greenwich Park The Queen's House and The National Maritime Museum can be seen with London's Docklands in the background. 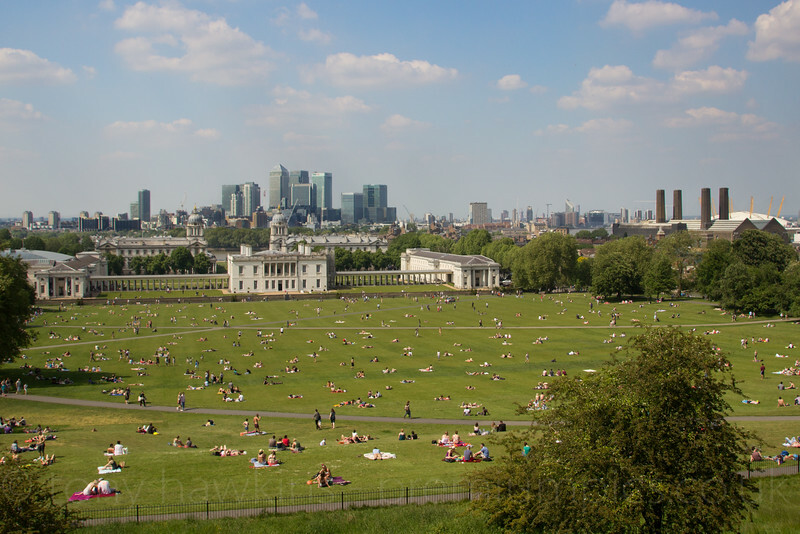 A panoramic shot of Greenwich Park, London Dockland and The Millennium Dome. 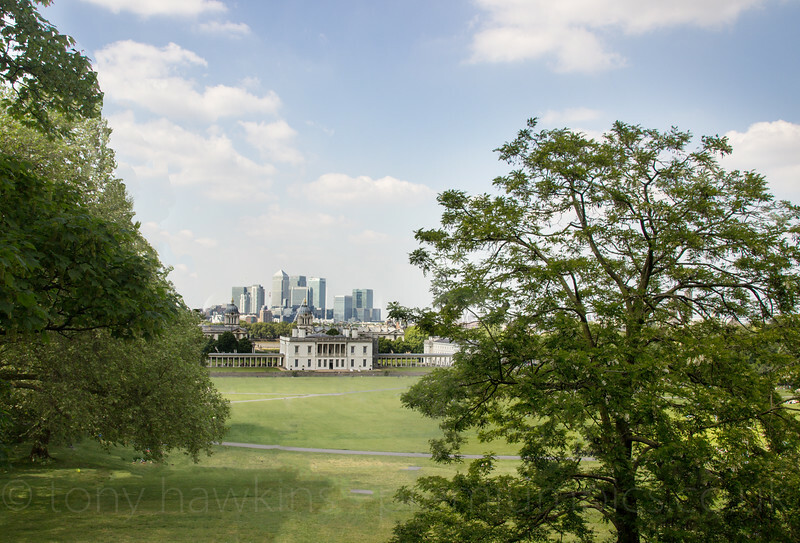 Framed by the trees; Greenwich Park, The Queen's House and The National Maritime Museum can be seen with London's Docklands in the background. 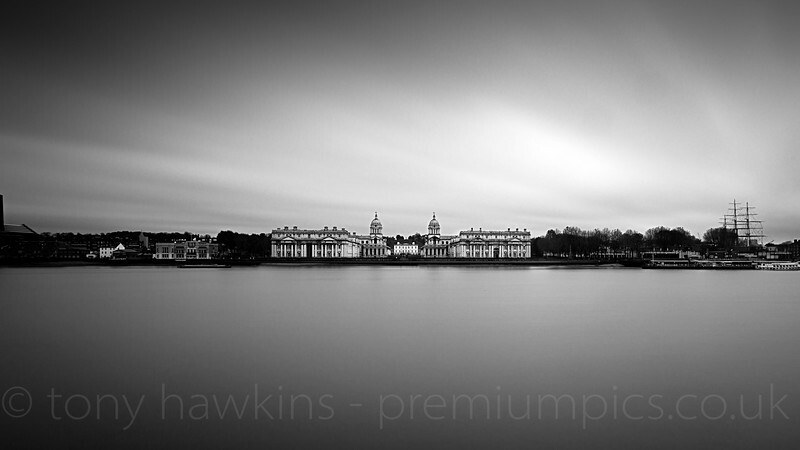 A wider shot from near The Royal Observatory of The Queen's House and The National Maritime Museum. The grass area was the scene for the equestrian events of the 2012 London Olympics; not a sign of that now. Greenwich Park in London. 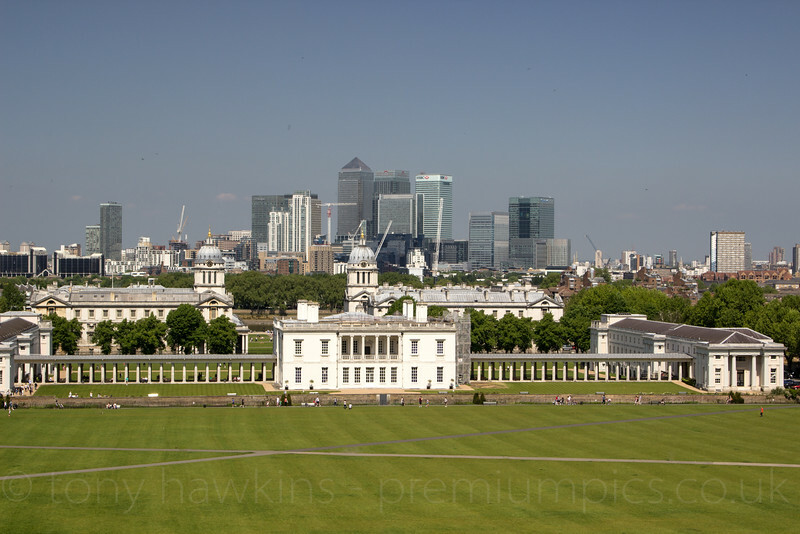 This photograph is taken near the Royal Observatory and looks down across the Nationals Maritime Museum and the Queen’s House towards Docklands. The picture really shows old and new London with Canary Wharf in the background. The sunny summers day image works well in a panoramic format. 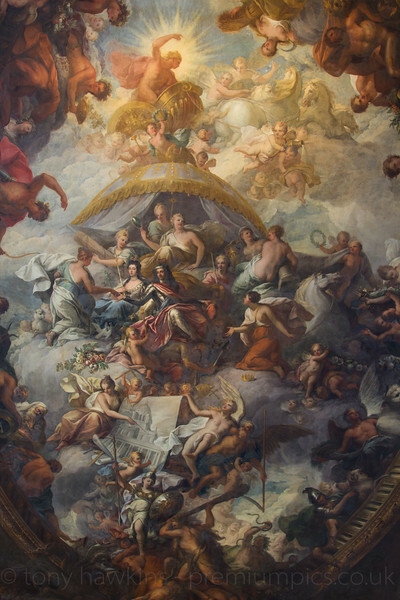 This ceiling from The Painted Hall in Greenwich is often described as the ‘finest dining hall in Europe’. 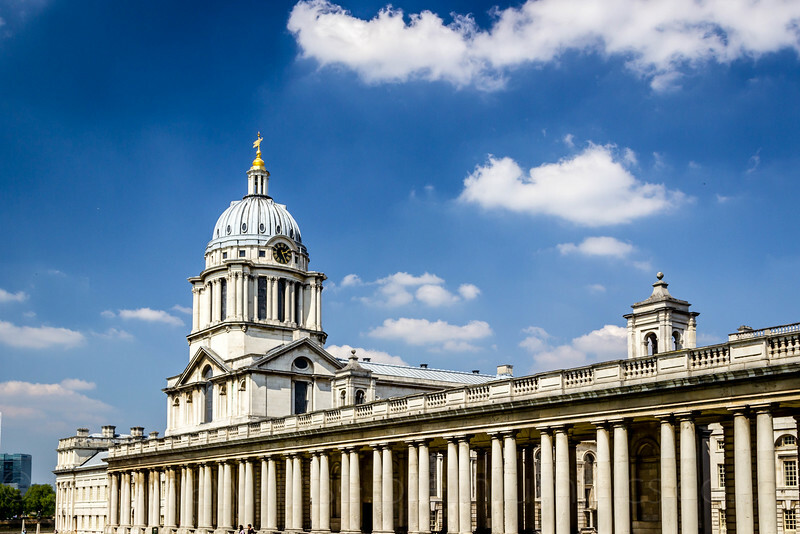 Designed by Sir Christopher Wren and Nicholas Hawksmoor, it was originally intended as an eating space for the naval veterans who lived here at the Royal Hospital for Seamen. Its exuberant wall and ceiling decorations are by Sir James Thornhill and pay tribute to British maritime power. This ceiling from The Painted Hall in Greenwich is often described as the ‘finest dining hall in Europe’. 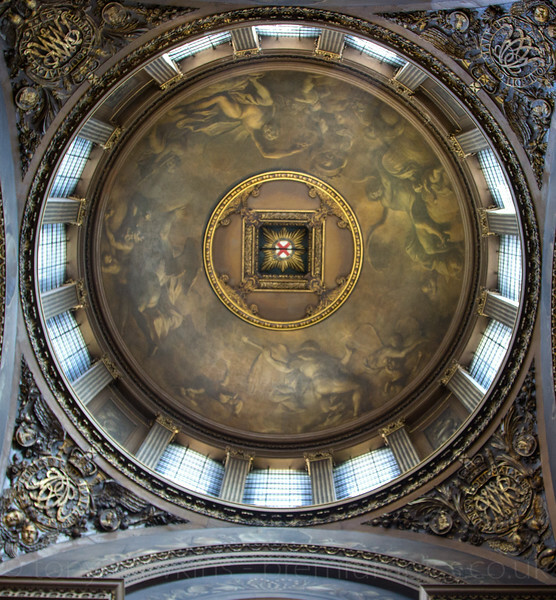 Designed by Sir Christopher Wren and Nicholas Hawksmoor The Painted Hall sits within the King William Court. Wren submitted designs in 1698 and the roof and dome were in place five years later. When in 1708 James Thornhill began decorating the interior, he was instructed to include many references to the importance of the navy in Britain’s fortunes. 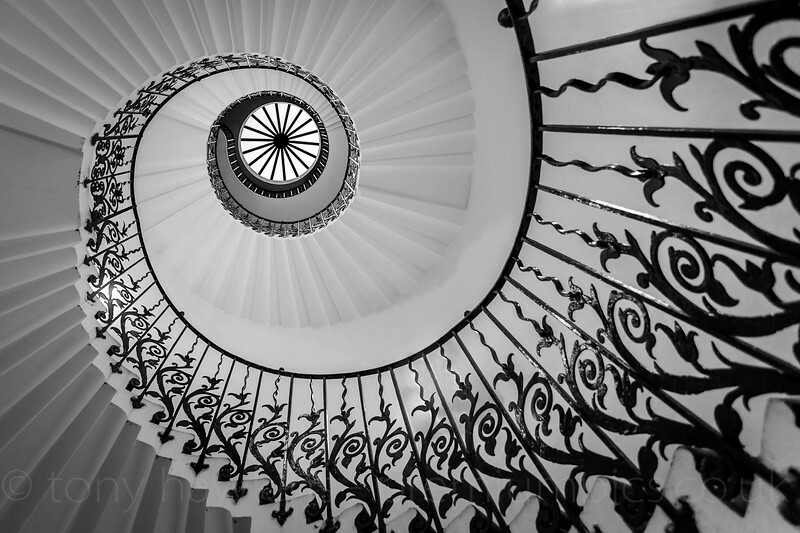 A black and white variant of the image of the Tulip Staircase at the Queen's House Greenwich. , This is now part of the National Maritime Museum Greenwich London. 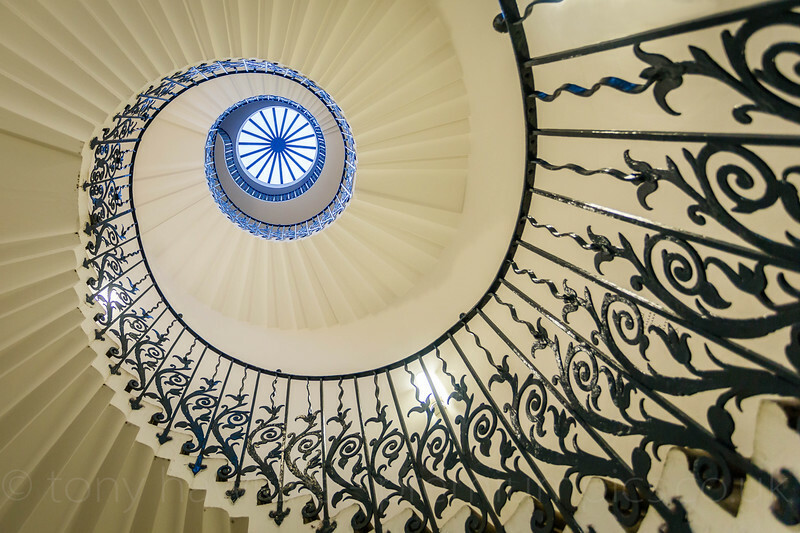 The elegant Tulip Stairs are the first geometric self-supporting spiral staircase in the UK. Although called the 'tulip' stairs, it is thought that the flowers in the wrought-iron balustrade are actually fleurs-de-lis. Monochrome helps show the simple symmetry of the stairs. 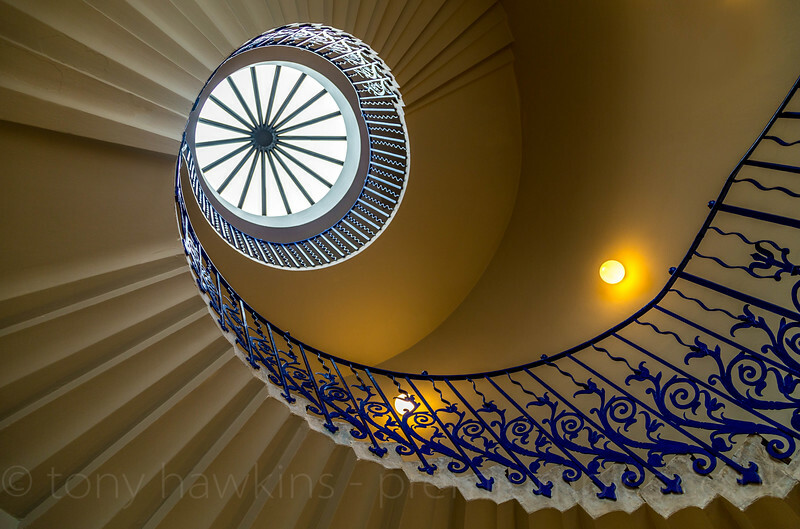 A tighter shot of The Tlip Staircase at The Queen's House Greenwich, construction of which started in 1616 and is now part of the National Maritime Museum Greenwich London. The elegant Tulip Stairs are the first geometric self-supporting spiral staircase in the UK. Although called the 'tulip' stairs, it is thought that the flowers in the wrought-iron balustrade are actually fleurs-de-lis. 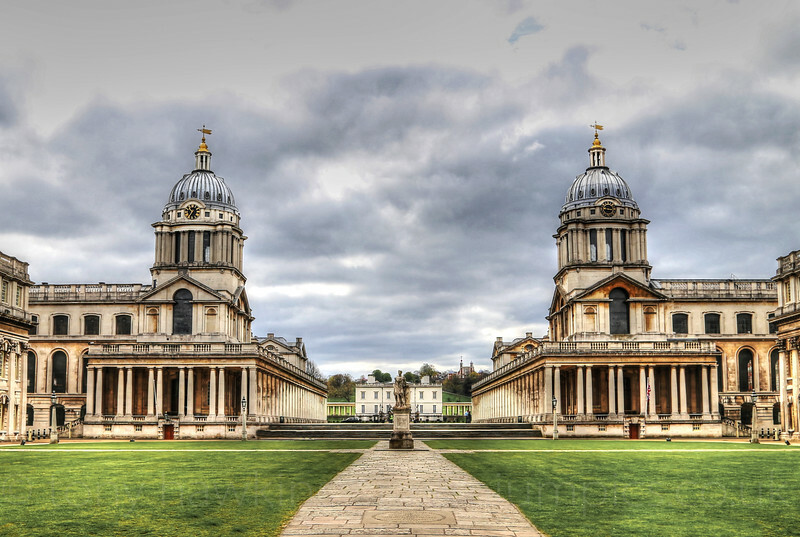 The Queen's House, construction of which started in 1616, is now part of the National Maritime Museum Greenwich London. The elegant Tulip Stairs are the first geometric self-supporting spiral staircase in the UK. Although called the 'tulip' stairs, it is thought that the flowers in the wrought-iron balustrade are actually fleurs-de-lis. 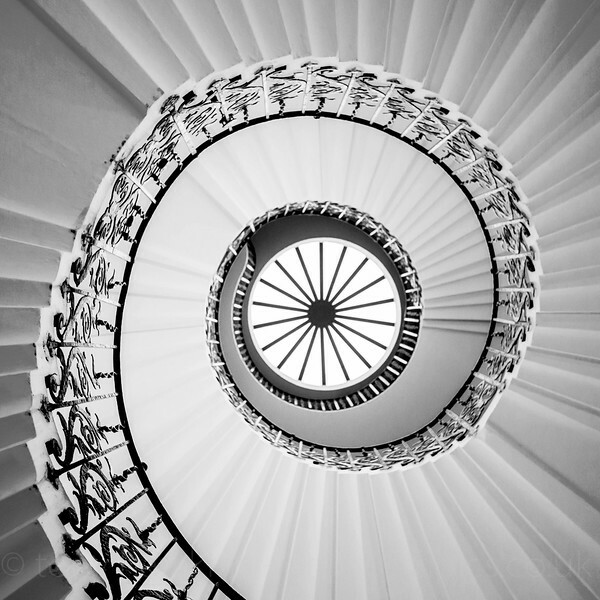 A monochrome image cropped square of the Tulip Staircase at the Queen's House Greenwich. The elegant Tulip Stairs are the first geometric self-supporting spiral staircase in the UK. Although called the 'tulip' stairs, it is thought that the flowers in the wrought-iron balustrade are actually fleurs-de-lis. Monochrome and the square perspective helps show the simple symmetry of the stairs.